Yesterday, one of the last of my treasured summer half-days, I looked at my wines and saw that the rhubarb, blueberry, and red currant had all cleared. 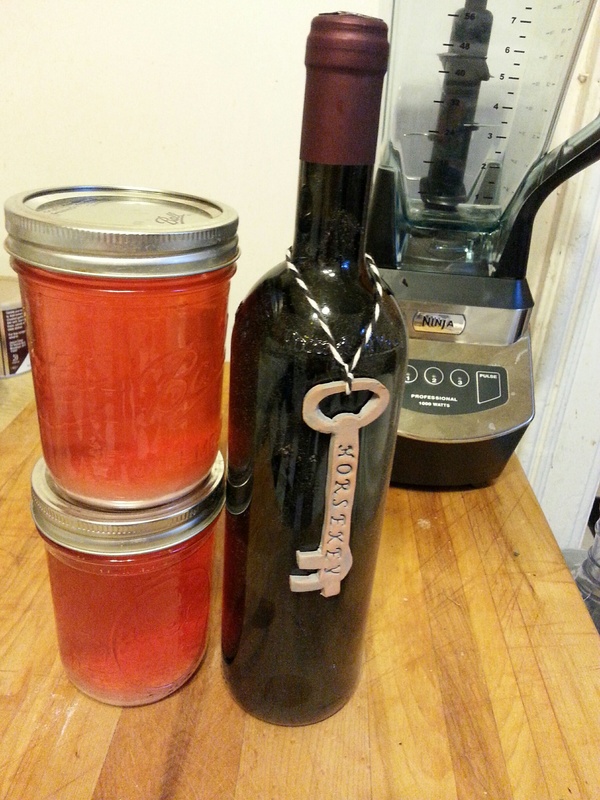 I was fairly surprised about the red currant, since I made it earlier this month, but it was definitely nice and clear. So I racked them and, in the process, learned that I am not good at racking. In fact, you can see a layer of new sediment in the currant in this photo, taken maybe 30 minutes after I racked it. And it’s not clear at all, but I swear that it was when I started. And we finally got real tastes of them! They’re all still quite rough, but I was pleased with all of them. The blueberry is a particular relief because it had a couple vinegar fly bodies in the airlock, but apparently they weren’t in there long enough to do any damage. The red currant is dry and crisp and pleasant. You wouldn’t necessary think “ah, currant!” when you drink it, but it does still have some specific fruit flavor to it. The blueberry was Jolyon’s least favorite of them, probably because it definitely still has a taste of blueberry. I thought it was nice, but it will definitely be a little tricky to pair with food if the berry-ness lingers. It’s fruit-forward, of course, but also dry. The rhubarb is slightly sweet, and was Jo’s fave. I’d be hard-pressed to describe the flavor, but it’s got a nice edge to it, and it tastes kind of like spring. It does not taste of rhubarb, though. Since I made that one in May, I will aim to bottle it in around March or thereabouts. 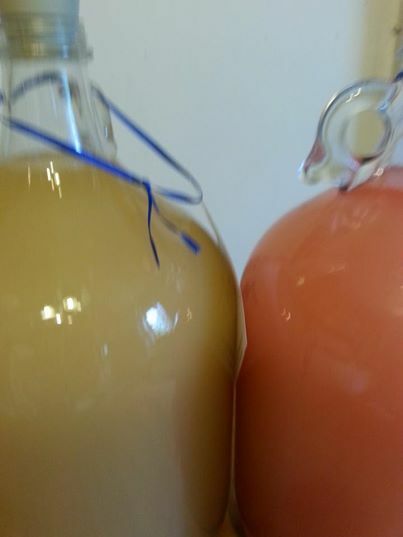 I think 3-6 months after racking is pretty standard, and apparently, wine gets better when it ages in bulk. I also picked a whopping ounce of raspberries from my canes! I will need as much as 5 lbs. (the recipes range from 2-5) so I might as well start gathering early and keep my harvests in the freezer. Also, as I took Rose to the vet, I found a chokecherry by the doggie daycare, so I harvested some of those, but came up with an ounce after I removed their pits. In fact, pit-removal is quite a chore with them, and I now do not aim to make chokecherry wine. What I did process, though, will go into my Christmas Tutti-Fruti. Dandelion seems to be starting to clear, so hopefully I can rack that soon. The mead has a big sediment layer and isn’t particularly clearing yet, but everyone who’s made it before says it just takes a long time, so I can wait. The cherry has the biggest sediment deposit of all, and I wonder if our 2 gallons will actually be more like 1.5. I have some beer growlers sitting around in case that happens. 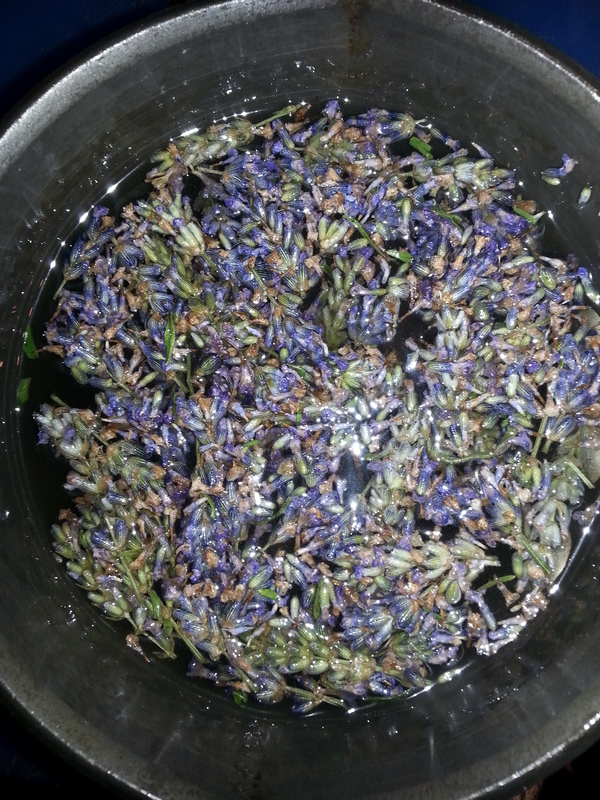 I made lavender syrup last night, with the dried flowers from my yard and Jen and Mike’s. This isn’t wine, of course, but it will go into assorted summer cocktails. The recipe (http://www.organicgardening.com/cook/lavender-cocktails) called for a half cup of dried flowers, simmered in 1 3/4 cups water and 1 1/2 cups water for 15 minutes, cooled and then refrigerated overnight, and then the flowers strained out. I didn’t actually get to those last 2 steps, and it’s entirely possible that mine is now a very strange color. (I used organic sugar, which is a kind of tan color and doesn’t make a clear syrup anyway.) I leave work at noon today (hooray, summer schedule!) and will check and photograph the evidence then. Okay, better late than never, right? Lots of stuff to get to, so hopefully I remember to cover it all. 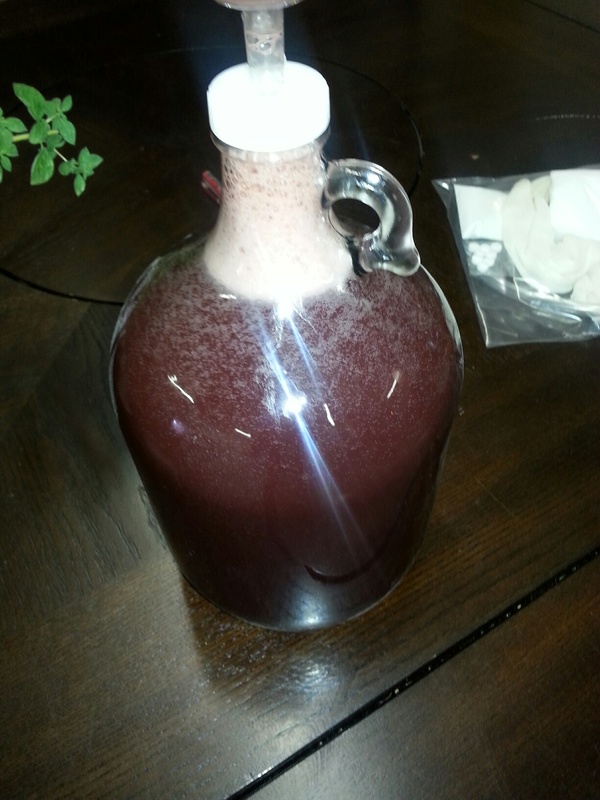 First off, I put the mead and the red currant into carboys. The image is fuzzy (I was apparently standing too close) but you can still see the somewhat alarming Barbie-pink color of the red currant. I think it will be a nice color when it clears. It’s in a canvas grocery bag to preserve the color, like the rhubarb. The mead needed water added– I thought about simple syrup, but figured there was probably still enough sugar left that I just added water. 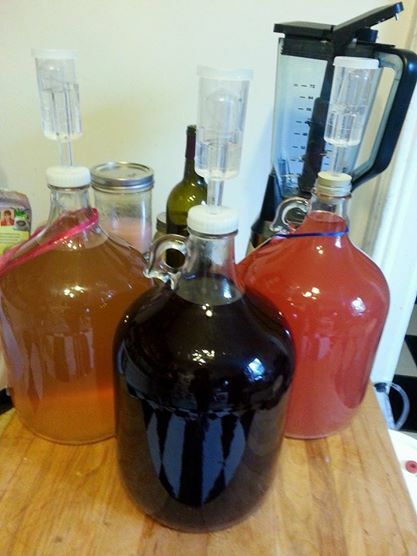 I think the mead may already need racking, though. 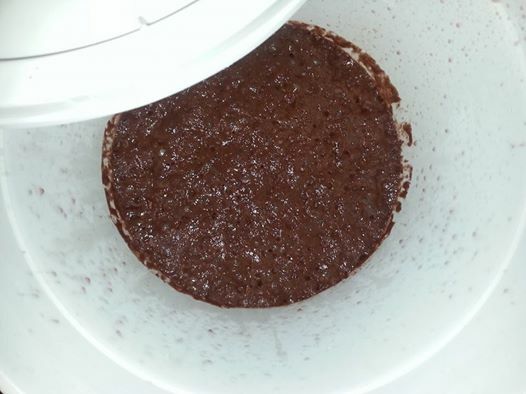 It’s got a lot of sediment at the bottom, and I don’t want it to pick up any off flavors. Maybe that will be this weekend’s task. Then yesterday, Kim & I took a country wine class at the always -excellent Wine and Whey. It was particularly nice because it was just the two of us and Katrina, whose classes I’ve consistently enjoyed. 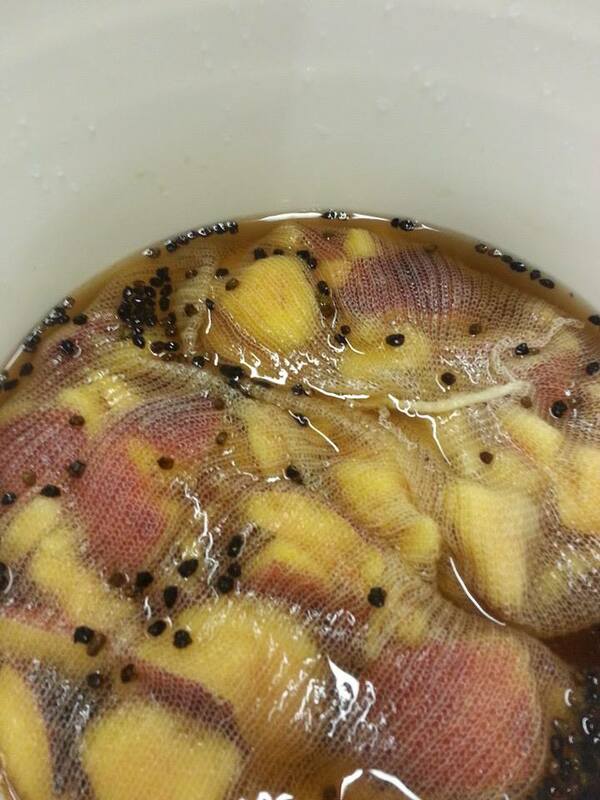 We started a nectarine and dried elderberry wine in the class. But it was very casual, so we chatted a lot, I asked loads of questions, and we drank… kind of a lot, really. 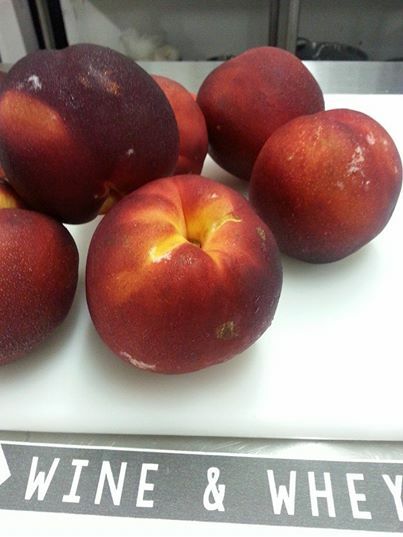 We sampled a nice peach wine from last year. I was a little wary because I bought a peach recently at a liquor store and it was kind of awful, but this stuff was nice. Light and vaguely fruity, with lots of peach smell. I had to pour both batches into a primary fermentation bucket as soon as I got home because it kept frothing up. So now it sits, apparently quite happy in my hot kitchen. I’ll stir it daily (or as I remember) and then put it back in the growlers in about a week. It’s kind of awful-looking at this point, but I presume some of the brown color will leave once the wine starts clearing. I’ve also started a batch of nasturtium vinegar (which is supposed to be a tonic of some sort, though I now forget for what) and a honeysuckle syrup. This last to the mild horror of Jolyon because I picked a few flowers on a walk we took, and he told me I can’t just nick people’s flowers. But I didn’t take many at all– in fact, the syrup will probably be quite weak. Those sit for a while longer on the flowers. And last up, I plan to make lavender syrup with my flowers and some from Jen & Mike’s place, gathered with their permission during cat-sitting duties last week. There are several nice little bundles drying around the house now, and I’ll post pictures when I make the syrup. I’m hoping it’s a nice purple color, but since I am a hippy and use natural sugar, my syrups tend to be brownish to start with. So we’ll see, I guess!